The Rockband "JAHM!" 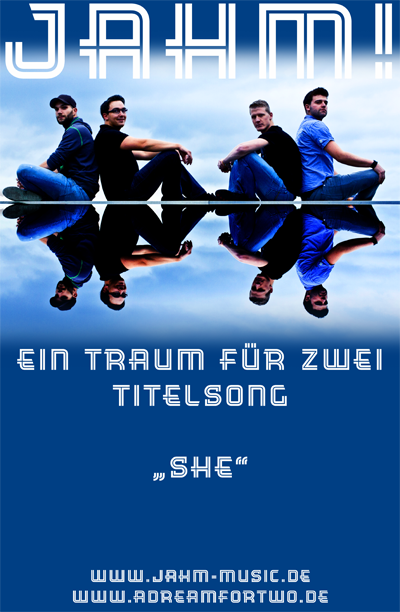 exclusively composed the amazing theme to the shortmovie "A Dream for Two", named "SHE". To get a pretaste of the mood of the movie, just click on audio sample and let yourself get beguiled by the sweeping sound of "JAHM! - SHE". Sorry, this part will be available soon! Please have a look on the german version of this site and thank you for your appreciation.